Our treatments adhere to strict aseptic techniques and all instruments are autoclaved and handled in a sterile environment. 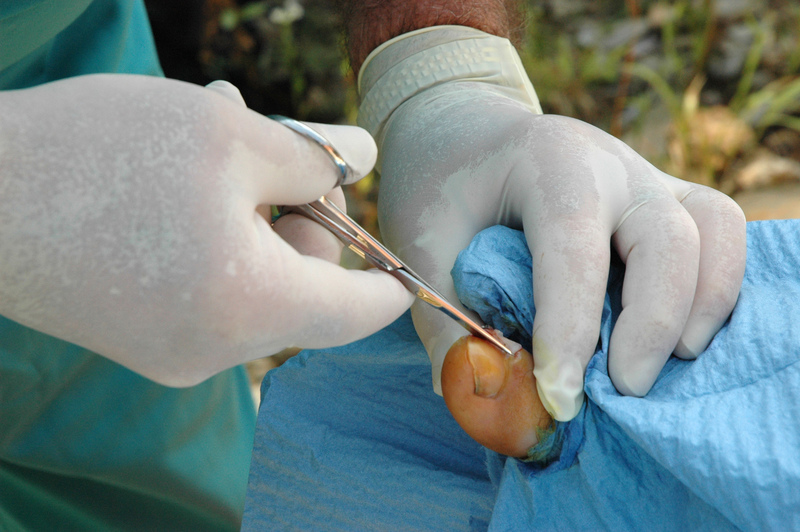 Nail avulsion surgery involves the removal of a section of nail under local anaesthetic. A chemical is then applied to prevent the section of nail re-growing. In some cases, the severity of the problem requires the whole nail to be removed. The procedure is a tried and tested means of treating persistent toenail conditions for example, ingrown toenails. 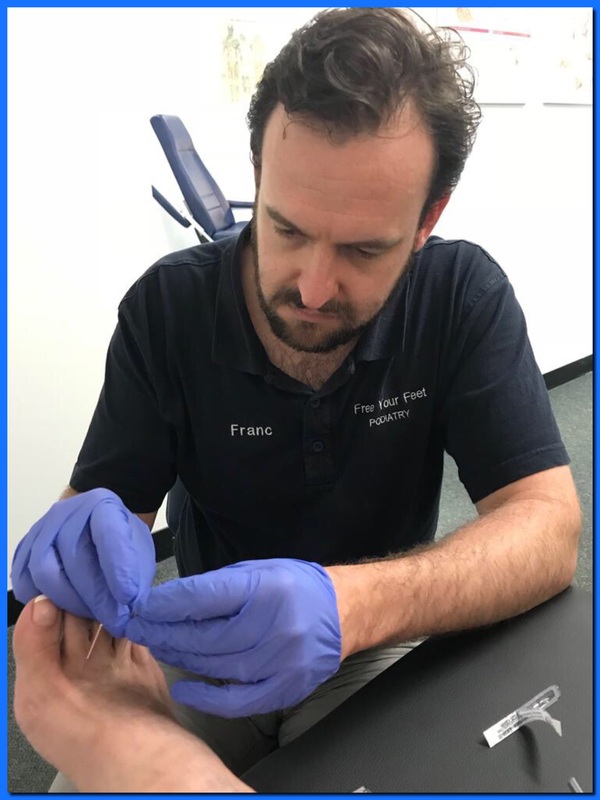 Dry needling is a treatment that involves a very thin needle being pushed through the skin in order to stimulate a myofascial trigger point. Trigger points are hyper irritable spots in the fascia surrounding skeletal muscle. This form of alternative therapy is used to release tight muscle bands that are associated with trigger points. Dry needling is a very safe treatment. The needles are very fine and rarely does any bleeding or bruising occur at the insertion site. Prolotherapy involves injecting an irritant at the site of pain to elicit an inflammatory response that is thought to promote healing. 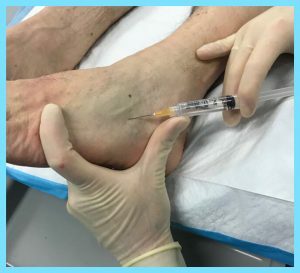 Agents that are commonly injected in prolotherapy are hyperosmolar dextrose (a sugar), glycerine, lidocaine (a commonly used local anaesthetic), phenol and sodium morrhuate (a derivative of cod liver oil extract). The injections are typically performed two weeks apart for a minimum of 3 sessions but can take place over several months if needs be. Another useful injection treatment is hydrodilatation therapy. This involves injecting inert agents such as saline solution to expand and separate soft tissues where there might be adhesion of the tissues causing discomfort. 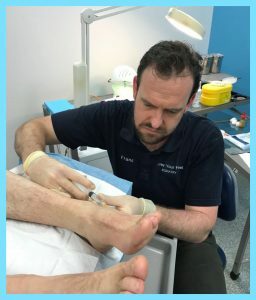 The most common foot conditions that we may use injection therapy for are Achilles Tendinopathy, Plantar Fasciitis, Morton’s Neuroma, Bursitis and Sinus Tarsitis but this is by no means an exhaustive list. Injections can be used for pain within joints, around weakened ligaments or at the insertions of tendons onto bones. Prolotherapy/Hydrodilatation can be beneficial when traditional first phase treatments such as eccentric stretching, footwear, PRICE and orthotics have had limited success. Verrucae needling is a relatively new practice with sound research and results to support its application. No verrucae treatment has guaranteed results, but needling has a success rate of over 70%. 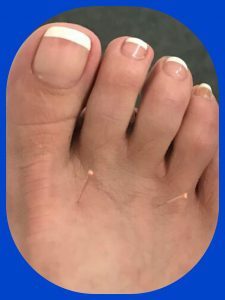 Unlike more traditional procedures, such as cryotherapy or caustic therapy, verrucae needling does not actively destroy the verrucae. Under local anaesthetic, a fine needle is used to puncture the verrucae lesion multiple times. This stimulates a natural immune response, which can be successful in killing off the verrucae virus. 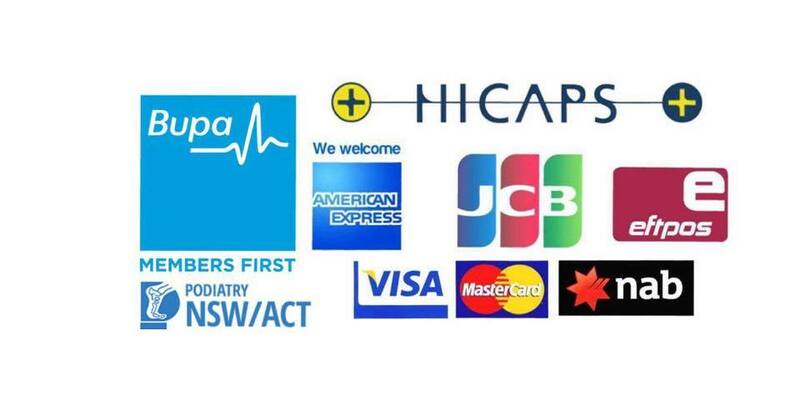 Further information on these specialist procedures, healing periods and possible risks will be provided in your consultation with our podiatrist.